-Latisse: She will love having those lashes LONGER and DARKER. -jane iredale Eye Gloss: it’s long lasting, highly water resistant, and makes for a simple, easy eye color. -gloTherapeutics Renew Serum: Anti-aging, skin smoothing, antioxidant . . . we love this product! -gloTherapeutics Restorative Mask: mom’s need a little moment, this is her ticket. With antioxidants and hydration her skin will glow. -Candessa Restore Peel Pads: A wonderful “pick-me-up” when mom’s skin feels dull. 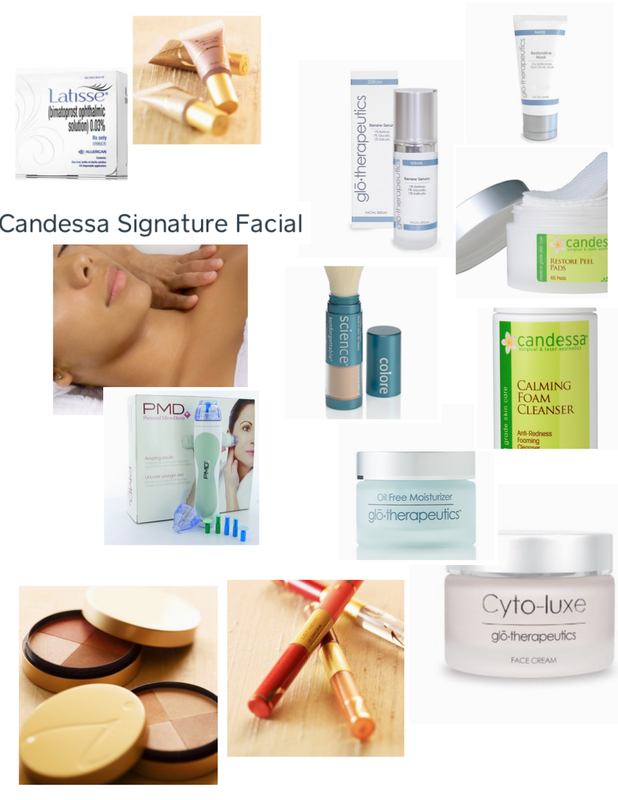 -Candessa Signature Facial: Give mom an hour to be pampered with this customizable, hydrating treatment. -ColoreScience Mineral SPF 50: Simplify her life with this amazing broad-spectrum SPF. An all in one (brush/SPF) combo. -Candessa Calming Foam Cleanser: Every mom needs a good “go-to” calming cleanser when her skin is feeling frazzled. -gloTherapeutics Oil Free Moisturizer: If mom is blessed with more oil in her skin than others, this is the BEST moisturizer. -gloTherapeutics Cyto-luxe Face Cream: It smells great, it gives her results, and makes her feel like a million bucks . . . win,win,win. -jane iredale Quad Bronzers: She needs a simplified, multi-functional product. This one gives her a glow, can dress up her eyes, and color her lips. -jane iredale Lip Fixation Lip Stain: This lip stain will last FOREVER without drying out her beautiful lips. Spring Into Summer . . . How Do I Do That?